Hello and welcome to our latest Audio Meditation Blog entry. Today we look at how learning to respect your body’s needs and regularly release stress is a way of valuing yourself. It can sometimes feel like we carry the weight of the world on our back. We soldier on until the load becomes unbearable and we surrender to exhaustion or malaise in some form or other. Most of us don’t know any other way but to keep on going until we are forced to stop. Prolonged periods of stress generate consistently high levels of the stress hormones adrenalin and cortisol, which makes it difficult to slow down even if we know we should. There is another way: we can learn to identify, understand and respect the early warning signs before things reach crisis point. The body is an amazingly sophisticated bio-feedback organism, constantly giving out information to keep us in touch with our basic needs. It’s through learning to listen to these subtle messages that we can act on those needs and maintain good health. Our culture is time poor. Few of us seem to have enough of it, especially in the arena of work which too easily becomes a greedy monster that gobbles up our day. 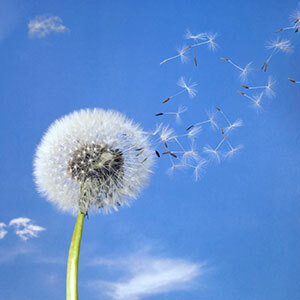 However, we do have choices: we can (and should) create regular breathing spaces which allow us to let go of tension. Like sponges, we get full up with what’s going on within us and around us. Some people find it useful to equate the ‘stuff’ they carry as extra luggage which they can choose to put down. Releasing stress is something that comes naturally to us when we are babies, but we learn to suppress this ability as we grow up. We are told not to give in to our needs and that we must keep going at all costs. The “No pain, no gain” mantra of the Eighties is etched in our collective psyche, and ignoring/suppressing our own needs has become the norm. But the truth is, we live in a physical body that experiences sensations, feelings and emotions for a reason and we need to honour this fundamental aspect of ourselves if we are to feel comfortable in our own skin. Releasing stress requires a willingness on our part to allow our hard edges to soften, and for us to give ourselves the same respect and compassion that we’d give to someone we love and value. At the end of the day, the most valuable friend we can have is the one that develops inside us. The video featured here presents releasing as a gentle process; I hope you find it useful. 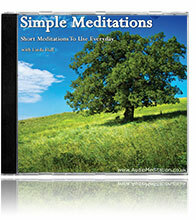 Simple Meditations – Short Meditations to Use Everyday teaches you how to deal with stress, relax, step back and get the bigger picture, concentrate, feel more energized, , and much more..